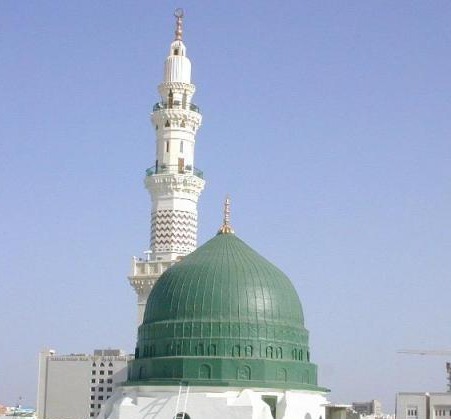 Today is 12th of Rabi-ul-Awal..the 3rd month of Islamic year.This month is full of celebrations,because on 12th its the birthday of Last Prophet Muhammad S.A.W.W(peace be upon Him) I am very lucky that i am a Muslim girl,I am the follower of the most moderate religion ISLAM.Muslims celebrate the birthday of Prophet Muhammad s.a.w.w every year for the last more than 14 centuries & there is a big celebration always..too much lightnings on big buildings,mosques,houses roads,streets…everywhere lightnings & lots of flags..which looks great…I live in a Muslim State so i enjoy this festival a lot,i hope my other Muslim friends from other parts of the world also collect the blessings of this month. 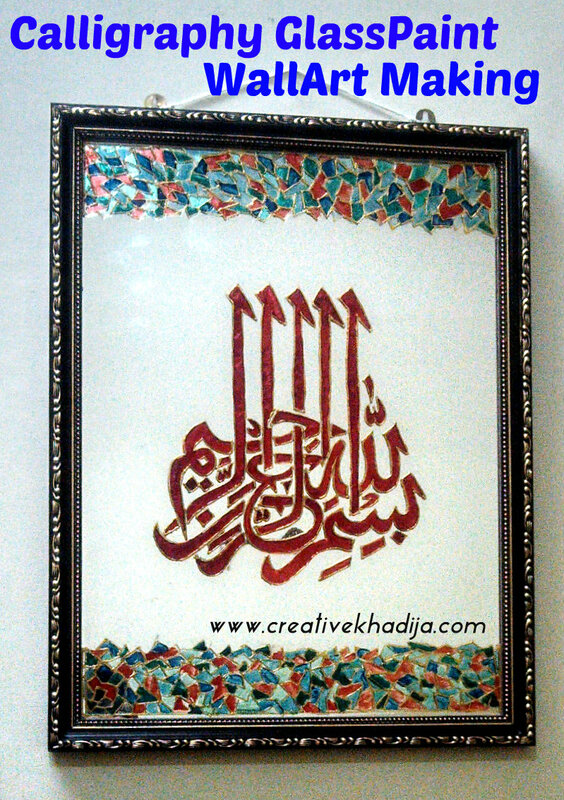 I always like to make Islamic Calligraphy,so i make it with some difference,instead of paints i add some beads inner my calligraphy outlines..
it was hard to sketch this building with glass paint led..well i tried my best for making this..
Now complete the outline border..paste these too with transparent glue..
DO YOU KNOW WHY I AM SHARING MY KNOWLEDGE & CREATIVITY WITH OTHERS THROUGH BLOGGING..?? So i will try my level best to share my knowledge with others.I am doing my post graduation in EDUCATION subject..the reason is only the same..I will obey one of the Golden Sayings of my Prophet.(S.A.A.W). 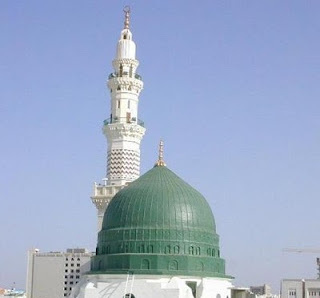 hi my dear friend,it is very interesting,because in my country we celebrated the birthday of Hz.Muhammed two days ago,on last Monday.Why the date is different in your country? 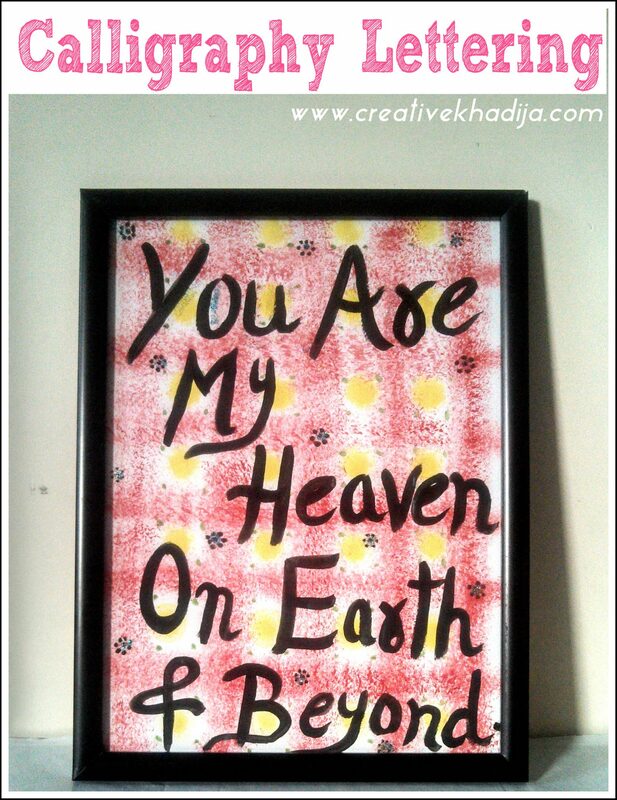 your post is so beautiful,I am impressed..and your calligraphy is very nice..
take care,God be with you! Slaam sweet Filiz,The whole month is in this celebration but last night 12 Rabiul Awaal started.you lived far away from my country & due to moon directions there is 24 hours difference,that’s why we have differences in days..
Wua, precioso todo, me han encantado tus trabajos. Its the great blessing of Allah That we are among Muslims..really a proud for us,how lucky we are!!! Take a sweet Kiss from me my sister..
hello and salam dear.we celebrated the melad e nabi on the 15th.all over the country.I have put the google talk,now we can chat,tell me,when do you usually online,please ask yr brother to install skype on yr computer,we can video chat. 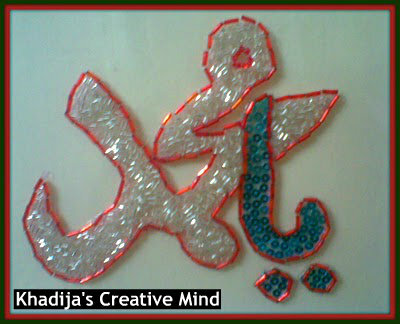 Walaikum Selaam dear the whole month is in celebrations..well we celebrate on 12th of rabbiul awal.. Thanks we will chat inshaAllah very soon..via google talk.. 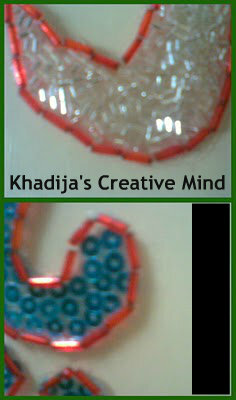 I like the way you’ve created art out of the Islamic calligraphy and the glass painted building, Khadija! 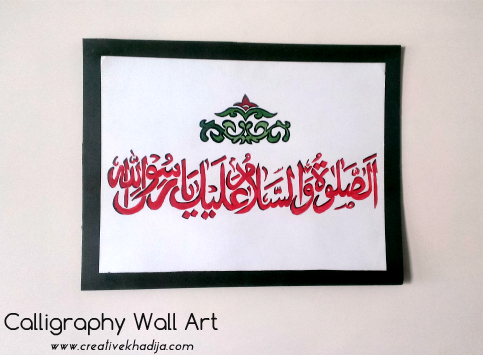 The calligraphy is very pretty with the inset beads. 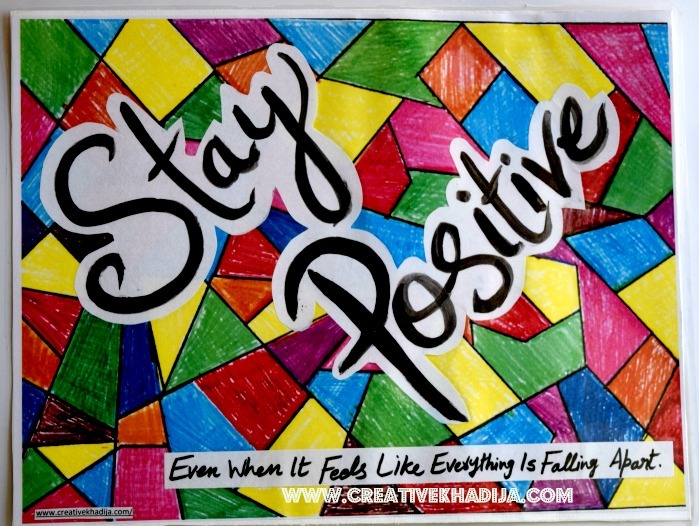 You are definitely being true to yourself and sharing knowledge though your blog. That is a great thing, I think! Que precioso te quedaron los trabajos y muchas gracias por enseñarnos. Thanks a bunch for your lovely words..
Miriam says;(That you were beautiful work and thank you very much for teaching. Thanks a bunch dear Anonymous..Thanks for your sweet words,really i am feeling proud after reading your nice words about it.well this is the REAL spirit which is needed today for every Pakistani..keep remember me in your prayers.thanks again..
i have a little idea,i can guess who are you anonymous…! This is so gorgeous! 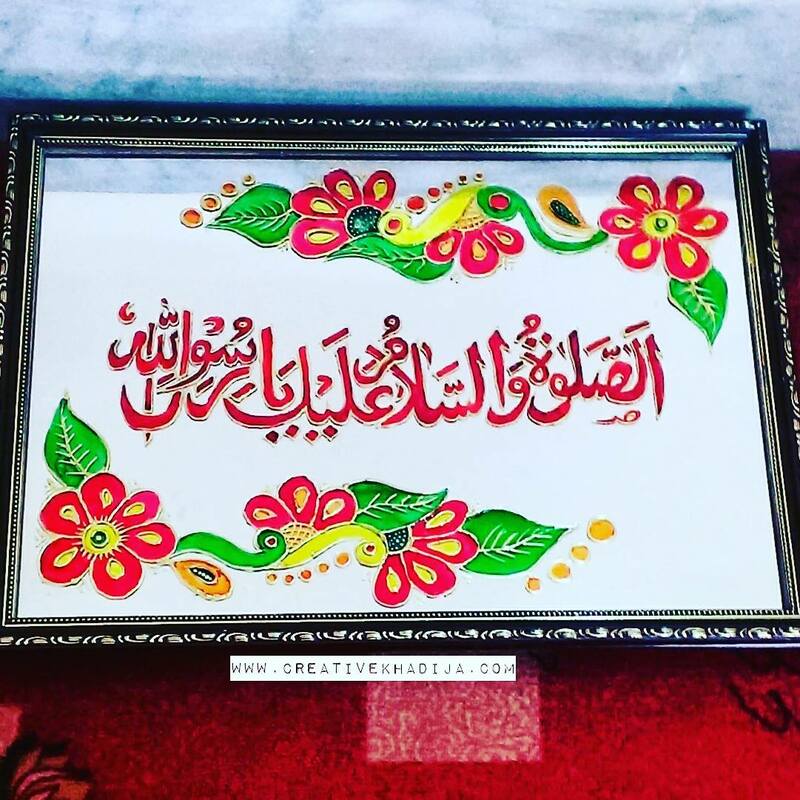 I love the calligraphy with beads, what a beautiful way to celebrate. Great tutorial – you know I have A MILLION BILLION little beads, so I want to try this soon! Good to know that you have many collection,you can try with your stuff.. This looks lovely! What a clever idea using the beads. I’m not sure what a stained glass sheet is though…i actually have a piece of glass from a picture frame that i removed, and i’m wanting to do something with it, i wonder if i can just use that then, instead of stained glass sheet? It must have taken quite a time to place all those little red beads around the border, hehe. Thank You I really Like how you have done yours version with embroidery! Melad Mubarak, or as we say in Egypt, Kool Sana we entee tayba. Masha Allah! 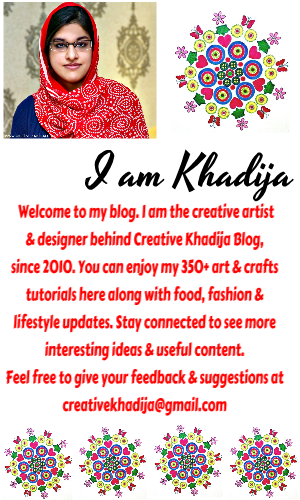 i would love to add your blog to my blog to motivate my kids.my blog is(mehfa-cookingcenter.blogspot.com). 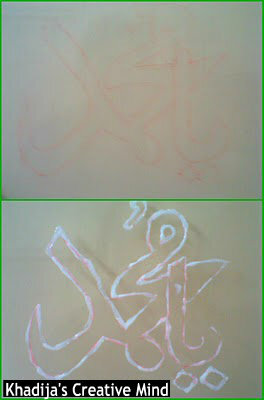 JZK. lovely :) i have never seen a blogger like you, you are unique.